Our contribution to the Royal Commission comes from the perspective of our Police Accountability Project clients, some of whom have been respondents to family violence complaints and/or victims of family violence. A smaller, but significant group of PAP clients are both respondents to, and victims of family violence. This short submission seeks to highlight common concerns to both groups, which relate to how police have responded to family violence issues and how those complaints in turn, are received and investigated by Victoria Police and/or the Independent Broad Based Anti-Corruption Commission (IBAC). 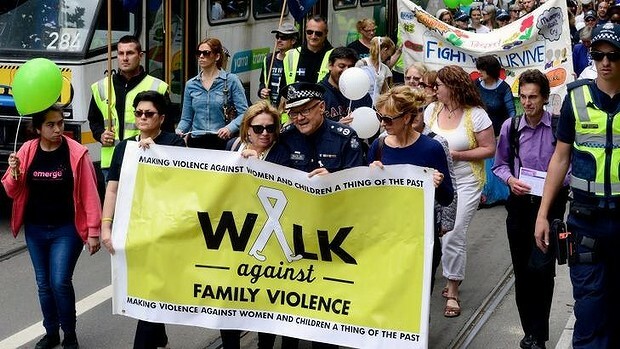 It is our submission that the ways in which police officers respond to family violence is critical to the safety of victims, as is the way in which police respond to concerns about how they police family violence by those who are impacted – including respondents and victims. We hope this submissions provides a critical perspective on systemic issues that are perhaps less heard, but nevertheless, important to remedy and act upon in order to restore confidence in the policing of domestic violence in Victoria. Some PAP clients report being assaulted by police who attend a home in response to a request for assistance and/or a report of suspected family violence. These reports include experiences of verbal abuse, the use of force without lawful basis and sometimes, physical harm that requires medical attention. The unlawful use of force in against alleged perpetrators of domestic violence by responding police officers is not only harmful to those against whom it is used, but is harmful to victims of domestic violence. Where loved ones are assaulted or treated without dignity by police, it can diminish victims’ confidence in reporting domestic violence to police in the future. It also sends the wrong message to alleged perpetrators and witnesses to the police response, which are often children. Fundamentally, it condones violence as being acceptable. Clients who have been victims of family violence report that the use of force against their partners makes them less likely to report family violence to police. ‘Jacki’ called police to report family violence. When the police attended her home, her partner had gone to bed. The police closed the door to the room where her partner was sleeping. Her partner was hit repeatedly with a police torch and told he was a “dog”. Children witnessed him being walked out of the house by the police. He was so badly injured he had to go to hospital. After police found his complaints unsubstantiated, PAP helped her partner take civil action against police which settled for a confidential sum. Jacki reported to her partner’s lawyers that seeing what they did to her partner made her not want to report domestic violence to the police. 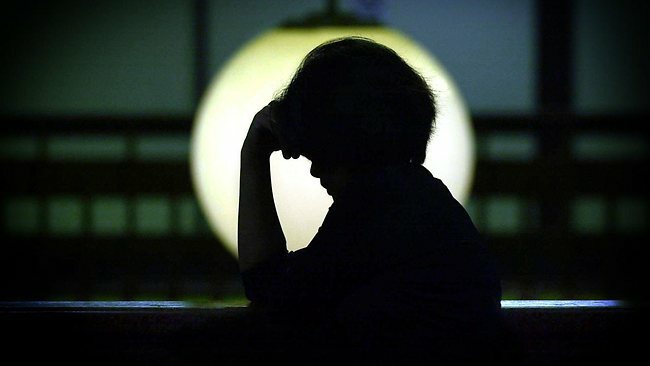 PAP has assisted clients who have reported that police have failed to take their reporting of family violence seriously or have responded in a way that has harmed them or their family. i) Discriminate behavior by police in whose complaints are followed up (with Indigenous women and CALD women reporting that some police are less responsive to their concerns). In Victoria, people who have concerns about how police are responding to family violence, can make a complaint to their local station, the Professional Standards Command of Victoria Police, or to IBAC. Complaint avenues to Victoria Police can be extremely daunting for victims of domestic violence who often already feel like they are at risk, have not been heard and that they won’t be believed, and who may have experienced under policing of their safety. Complaint avenues to Victoria Police for respondents can be equally daunting, especially if charges are looming and/or they have a criminal history. They too, can feel they won’t be believed or won’t be listened to if they are raising complaint about excessive use of force by police. It is our overwhelming experience that the majority of our client’s complaints regarding responses to family violence are not substantiated. We have supported/are supporting respondents and victims of family violence make complaints to both Victorian Police and IBAC, an independent statutory body with power to investigate complaints against Victoria Police members. We are concerned that IBAC is referring complaints about how police are responding to family violence (or not responding) back to Victoria Police to investigate. The case study below is illustrative of why this matters to those who have complaints about police responses to family violence and the deleterious impact it can have on trust and outcomes. ‘Amelia’ and her children endured years of economic, physical, and emotional abuse by Amelia’s ex-partner. On many occasions, Amelia reported her ex-partner’s violence to police. Sometimes police simply dismissed her reports and she often felt she was not believed. One day Amelia’s ex-partner broke into her home wielding a large knife, stabbed holes through the walls of the property and called her threatening to kill her. He told her he was coming to find her. Amelia went to police seeking assistance. She was very scared. She was told police were busy attending other duties. Amelia was later found by her partner and sustained hours of physical violence. She decided to make a complaint to IBAC about how she felt police had not protected her and her children at various times. Her complaint was referred by IBAC to the Professional Standards Command of Victoria Police for investigation, who referred it to an officer from the police station that she had had to deal with through the many years of violence and to whom her complaint was directed. Her complaints were found by that station to be “not substantiated.” Amelia was never even asked to provide a statement to the investigator. c) Decreasing community trust in complaints bodies, which can have a compounding effect of people loosing trust in the legal system more broadly and their solicitor’s capacity to assist them. We consider that IBAC should investigate complaints concerning police responses to family violence (be they made by respondents to family violence allegations or victims of family violence) and that a best practice response to complaints made in relation to policing responses to domestic violence is that complaints made to IBAC are not referred to Victoria Police for investigation. Where they are referred to Victoria Police, IBAC should ensure oversight of the internal referral process to ensure they are referred to a station other than the station which the complaint conduct relates. Most people who spend the time and effort is takes to make a formal complaint provide a benefit to the community. Complaints from the public allow the detection, investigation disciplining and prosecuting of police members who have engaged in misconduct. 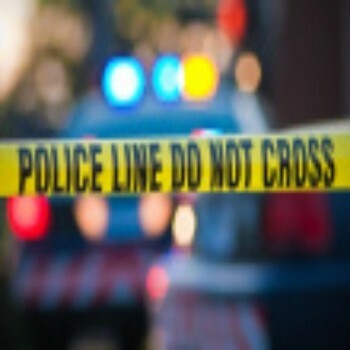 When a person takes the time and effort to lodge a formal complaint, they create an opportunity for the reform of systemic failures in police practices. Victims of family violence are in the best position to communicate what an effective response by police to family violence is and best placed to point to gaps and deficiencies in current approaches. If they are not supported in a robust complaints system, this critical window of learning is lost. In addition, police who seek to punish alleged perpetrators extra-judicially should be held accountable for their conduct. The abuse of force or power has a profound and detrimental impact on all those who experience it, their families and entire communities. It undermines safety, self-worth and belonging and it erodes faith in the institutions of democracy and the rule of law. Casey had an intervention order against her ex –husband who has a long history of serious offences and incarceration. In order to increase her safety Casey began safety planning with FKCLC. FKCLC attempted to collaborate with the Police Family Violence Unit and the family violence outreach service. We aimed to make the police aware of our client’s high risk and to coordinate services. The legal service contacted the Police Family Violence Unit to enquire of the ex-husbands release date from jail. They said they need to contact Corrections Services to find out this information. The Family Violence Unit advised that the ex-husband was going to be released in a year and a half due to other offences committed in jail. However after two months of receiving this information, we were again advised by the Family Violence Unit that the ex-partner had been released two weeks ago. This sent our client and her two children into a panic and they were extremely frightened. We attempted to urgently arrange better security through a Victims of Crime application. We made further enquires as to if there was any other conditions and were advised by the Family Violence Unit that the conditions were as per the intervention order. Ten days later our client was able to find out through facebook, that her ex-partner was in Maribynong Detention Centre. 4.1.1 In the interim, IBAC should not refer complaints concerning police responses to family violence to Victoria Police for investigation. It should investigate these complaints under the jurisdiction it has and work with Victoria Police and complainants to establish responses to complaints that can lead to systemic improvements around policing of family violence. 4.2 That Victoria Police and Corrections Victoria improve communication with local agencies attempting to work collaboratively to keep women and children safe. 4.3 That the Victoria Police work closely with Corrections Victoria to notify victims of family violence of the release date of respondents from jail.